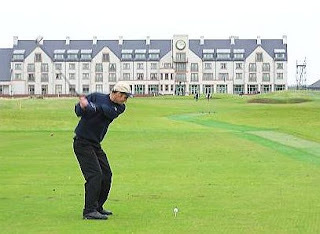 The 2016 Senior British Open Championship golf major tournament on the PGA Tour Champions and European Senior Tour is taking place this week from July 21-24, 2016, at the Carnoustie Golf Links located in Carnoustie, Angus, Scotland. Here is a list of the prize money up for grabs for the senior PGA and European golfers to win at the 2016 Senior British Open Championship. The Senior British Open Championship dates back to 1987. Gary Player (1988, 1990, 1997) and Tom Watson from the United States (2003, 205, 2007) jointly hold the record for most wins with three each. This will be the second time that Carnoustie hosts the Senior British Open Championship. The first time was in 2010 and Bernhard Langer was the winner. Langer also won this senior major in 2014 when it was held at Royal Porthcawl in Wales. Total prize money up for grabs at the 2016 Senior British Open Championship is $1.77 million. The total prize money this year has actually been raised by 50,000 British pounds from last year but due to the big decline in the pound vs the dollar the overall money is down from last year in dollars. All prize money has been converted to dollars from pounds at the current rate of 1.31. The winner of the 2016 Senior British Open Championship will earn $265,781. That's down from the $319,090 that Marco Dawson earned when he won this senior golf major tournament last year. Second place is worth $155,925 at the 2016 Senior British Open Championship. That's down from the $212,779 that Bernhard Langer earned or won last year when he finished alone in second place in this tournament. Third place at the 2016 Senior British Open Championship is worth $127,575. That's down from the $119,776 that Colin Montgomerie earned when he finished alone in 3rd place in this senior major last year.